Where does MSNBC’s ‘Morning Joe’ film? 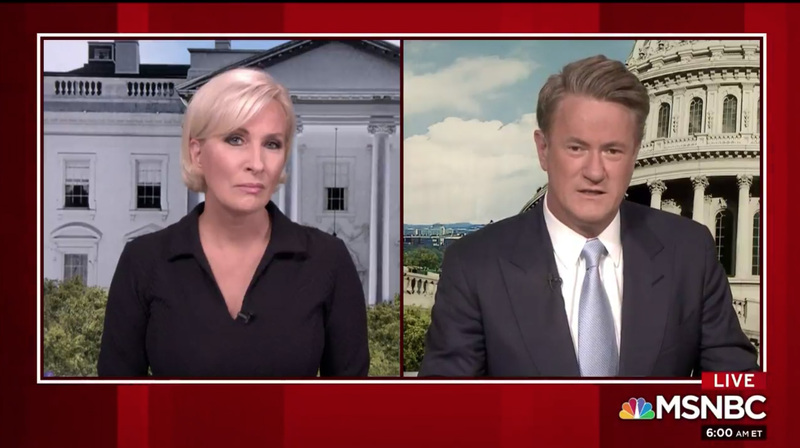 Why are Joe and Mika in different locations? MSNBC’s morning program “Morning Joe” primarily originates from the MSNBC part of Studio 3A in Rockefeller Center in New York City. However, both hosts Mika Brzezinski and Joe Scarborough often host the program from remote locations. One or both hosts sometimes appears on the show from remote locations with a video screen behind him or her featuring imagery meant to match the show’s look. Both hosts also occasionally host from remote locations based on where news is happening or to accommodate their personal travel schedules, speaking schedules and field assignments. For special editions, especially around election season, one or both hosts may travel to political hot spots and host shows using special setups in locales such as coffee shops or outdoor venues. In the summer of 2017, the New York Post reported that the pair, who had secretly been dating but recently came forward with their relationship, would sometimes create the appearance of “split” shows while heaving each host appear in a “double box,” even though they were actually sitting in the same broadcast facility sometimes just yards apart. There have also been reports that Scarborough has a small studio at his home that he can use to join the show remotely. In addition, additional reports point out that both hosts have aging parents and they like to try to be with them as much as possible. In general, when the “double box” graphic is used, as shown above, this means the two are in different locations — although it’s not always entirely clear how far apart they actually are.